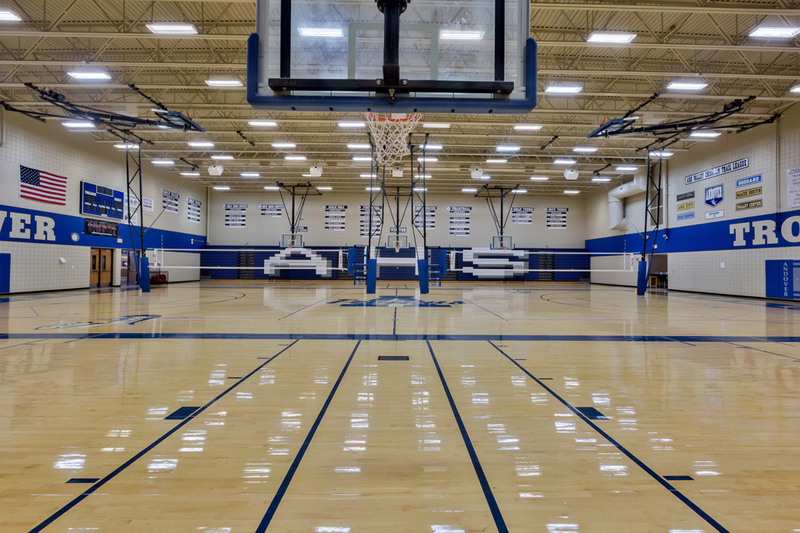 The Andover High School gymnasium and commons addition was constructed in 2000, and is a great representative of the scope of Harman Huffman’s capabilities. 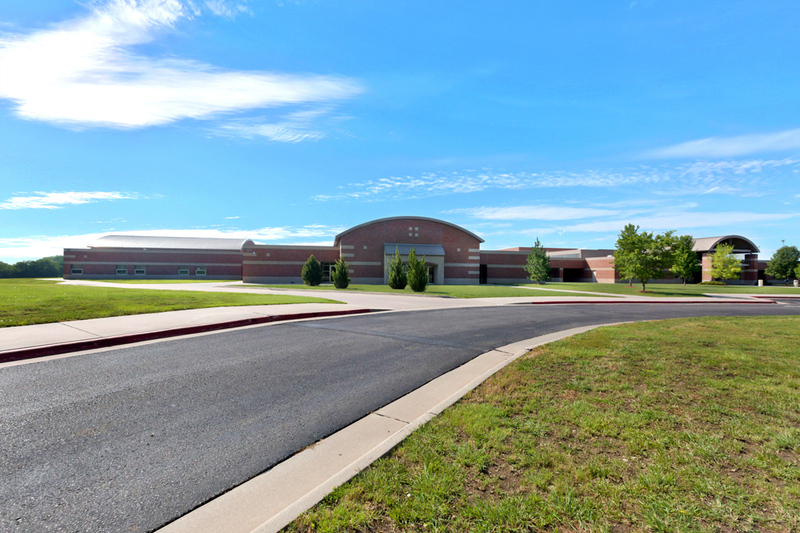 This project was built over the course of 1 1/2 years: completed on budget and on time. 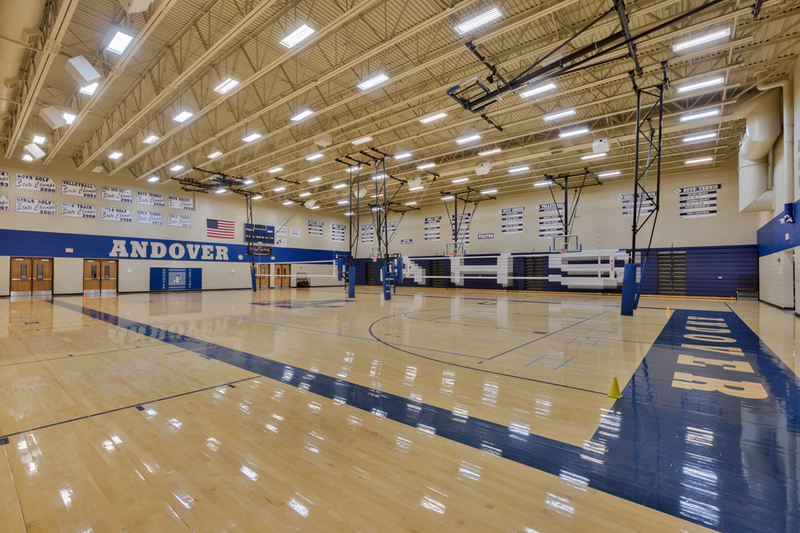 A 20,000 square ft gymnasium provides plenty of room for multiple activities. 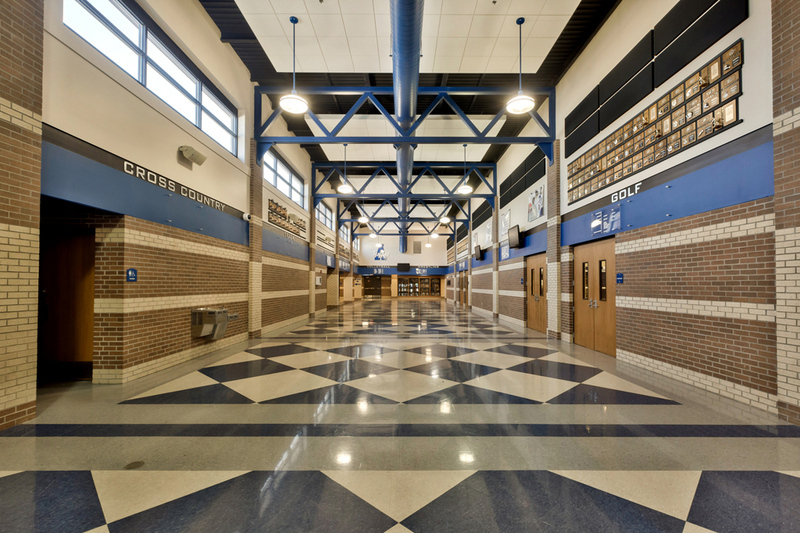 It was our challenge to create a space that was both durable and dynamic. 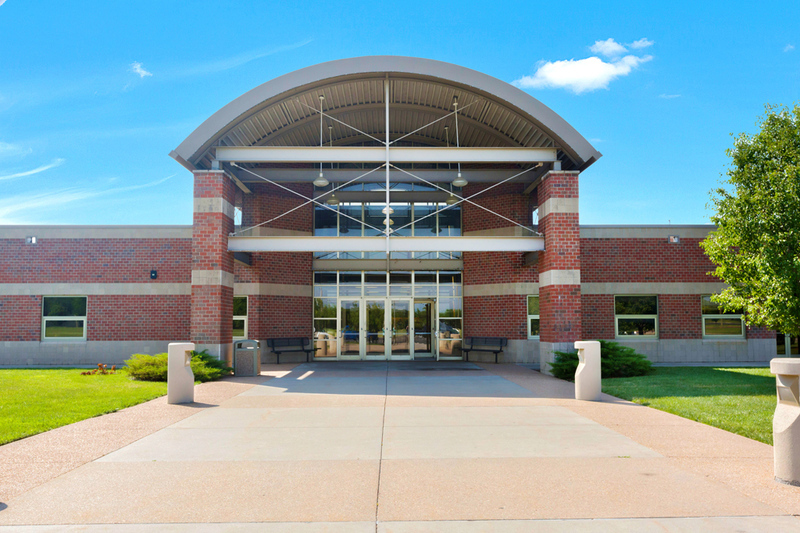 Even though this facility is over 150,000 square feet, we didn’t lose track of the details. Clean, functional elements grace the exterior of the building and add a great deal of sophistication to the complex. This aerial photo taken as the school was under construction. This vantage point offers a new perspective on the size and scope of this project.